Do you ever wake up in the middle of the night, heart racing, sweating, and wondering if that nightmare was real life? If you do, you’d be experiencing a few seconds of life with Anxiety. Except it isn’t a nightmare. It’s a very real feeling and one that isn’t easy to deal with. 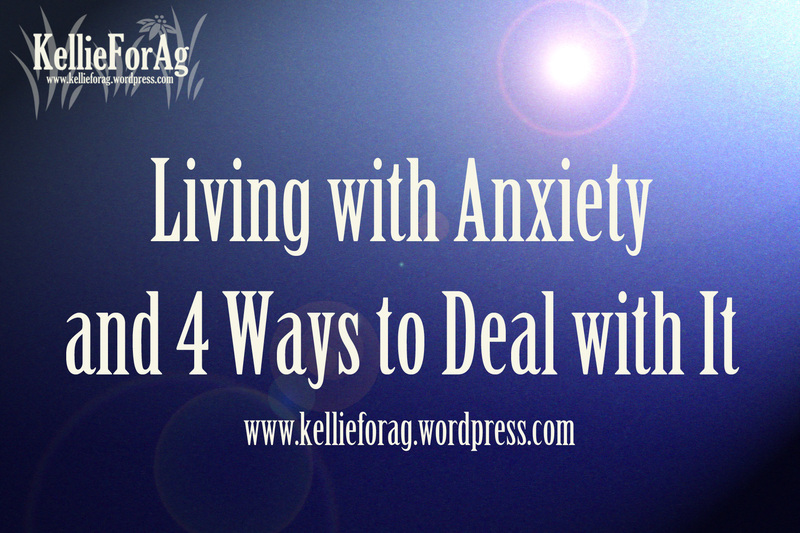 Anxiety is a mental disease, an illness, a problem. And I have it. It’s something I’m ashamed of and try to hide. Having anxiety is rather hard for me to explain. It’s not something anyone can actually truly understand unless they have it. Everyone with anxiety is different. An anxiety attack can be triggered by many different things. My issues seem silly and ridiculous, but they are what they are. My trigger points are: clothing–anything and everything, if it doesn’t feel right on my body or feels weird it’s an instant attack. I’m ripping off my clothes, crying, and trying frantically to find something that comforts me. The worst part is that a shirt could feel great one day and the next time I go to wear it, it’s unbearable. comfort level-when I’m put into an uncomfortable situation I instantly have a rush of adrenaline, feel like screaming, and start sweating. My mind is running a thousand miles an hour, I can’t seem to think straight, and my whole body is shaking. This could be triggered by talking to someone who intimidates me or someone who has upset me. organization-I tend to prefer things to be tidy, in place, and picked up. When things are not that way, I’m irritable, edgy, and twitchy. I won’t be able to sit still until everything is back where it belongs, picked up, and looks nice. The one thing that all those trigger points have in common that I didn’t tell you is the feeling that runs through my body. It’s like a surge that goes down my extremities that pulsates, causes fiery, and makes me feel like screaming. And sometimes I do. It depends on the situation and how well I can control myself. All this makes me seem crazy, doesn’t it? Well, if you know someone with anxiety, you know that we have figured out ways to deal with it so the outside world can’t see how we feel. 1.) Using essentials oils has helped me immensely. There is something about them, something wonderful, that I thoroughly enjoy. They literally lift up my spirit, calm me, and allow me to breath in situations that I’m fearful of. This is a newly discovered way to help me deal with anxiety, but so far it has helped. 2.) Being open about my problems. When I used to leave my feelings to myself it was not only hurting me, but the ones around me. Now that I have informed my fiance, family, and friends about my problems they are more prepared for my attacks and ready to help me. Which helps just knowing they support me. My fiance understands completely and he is actually amazing at talking me through an attack. 3.) Having pets. I’m a big animal person, but even if you aren’t, a pet will help. When you’re having an attack you go find the pet and hold them. They know. They understand, they can feel the pain that others can’t see. 4.) Remember in high school your teachers would tell you to find a place to study, do homework, and concentrate? A place to really put your mind into one place and focus? Well, that’s what I do for my anxiety. If I’ve had a bad week and I can feel an attack creeping it’s ugly little head around the corner, I go to my ‘happy’ place. The place were I can BREATHE, relax, UNWIND, and let every muscle calm down. If you wanna try some essential oils, e-mail me at kellieforag@gmail.com, and I will get you some free samples. Or you can order some from this site, https://www.youngliving.com/vo/#/signup/start, click the “I was referred…” button and in the two spaces enter, 2853812. Go ahead and order some oils and get yourself feeling better.